Michigan Academy of Dance & Music offers private one-on-one music lessons in VOICE & INSTRUMENTAL. Why Choose The Academy for Music? Our instructors are highly qualified and many have extensive performance experience. Most importantly, our educators strive to relate their educating to each individual student’s learning style. Our educators combined have over 150 years of experience & educating! Our current students range from 4 years old to many students in their 80s. We take care to teach what you want to learn so music is rewarding for students of all ages and levels. Private lessons ensure that the student has the undivided attention of the educator and can progress at a level individually suited to them. A Recital Concert is held in the spring of each year. Other performance opportunities are available. These provide students with performance experience and build confidence. Contact us to now schedule your private music lesson! Our private lessons are all individualized and tailored to each student’s needs. 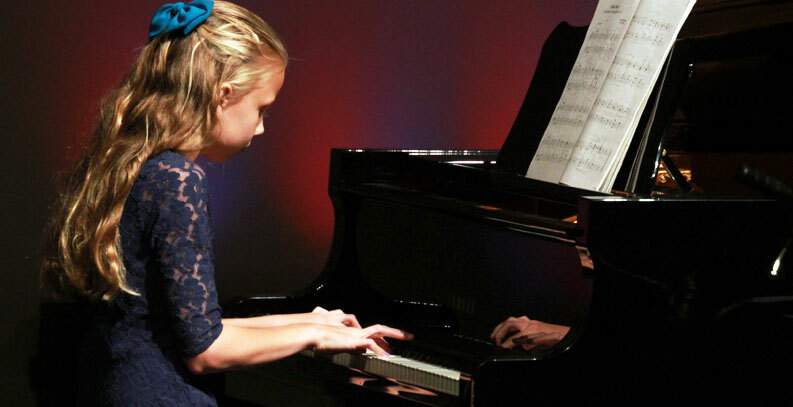 If you want to learn to play a specific song, style of music, solo, or even music theory, those choices are available here at Michigan Academy of Dance & Music. We will teach you standard notation, tablature, or how to play by ear. If you want to learn a song from a particular artist, bring your sheet music or cd and we’ll show you how it’s done! For young students, music helps to improve concentration. It teaches the importance of study and practice. It, also, leads to increased performance in school. Music helps students by giving them a way to develop creativity. It takes them away from the tv, video games, and texting. It teaches them to use all of their digits, not just their thumbs! Playing an instrument is a great stress reliever. It helps to take your mind off of your daily problems allowing you to escape and create. Feel the sense of accomplishment that comes with learning an instrument. You can play for your friends and family around the campfire, play some songs with your kids or even start a band. You can write songs, play at church or play at parties. Your possibilities are limitless. Music helps improve memory and manual dexterity. If you are retired, learning to play an instrument is a great hobby, possibly something you have wanted to do your whole life. Maybe you want to renew the love and fun of playing an instrument that you played in the past. It’s never too late to start playing at Michigan Academy of Dance & Music! Students at Michigan Academy of Dance & Music have the opportunity to perform at our annual Winter & Spring Recital. This is not a requirement, but highly encouraged. It offers students a chance to feel what it’s like to perform in front of an audience. It, also, gives family and friends the opportunity to see what you have learned! To help your music make that final "connection", we offer various opportunities throughout the year. These come in the form of seasonal recitals for all instruments, community outreach & our annual spring recital. We are also often asked to provide music for events in town. As well as being a benefit to the community, performers gain valuable live performance experience. It also gives family and friends the opportunity to see what you have learned!